Last April I visited Bethlehem hoping to see the refurbished Church of the Nativity, but the work was still in progress. However, I did see something new. In the courtyard of St. Catherine’s church, near the statue of Jerome, there was a very nice nativity display that I wish to share with our readers. 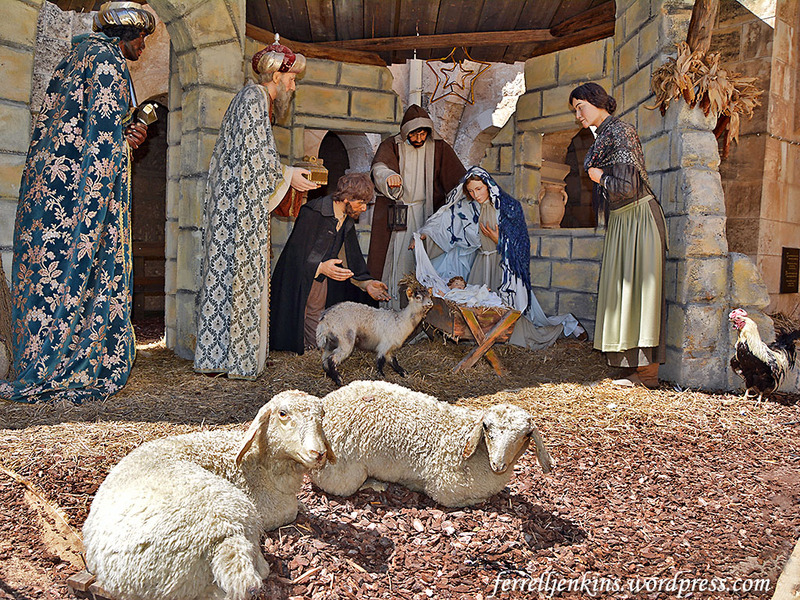 Nativity display in the courtyard of St. Catherine’s church in Bethlehem. Photo by Ferrell Jenkins. You may recall that Jerome lived in Bethlehem from about 384 A.D. to 420 A.D. He is best known for translating the ancient Hebrew and Greek manuscripts into what would be called the Latin Vulgate. Our earliest (chronologically) English versions were translated from the Latin rather than from the Greek and Hebrew. In the past couple of weeks there has been an uptick of interest in previous articles I have written about the birth of Jesus, Bethlehem, and Christmas. We have compiled an Index of articles dealing with these subject here. Perhaps you will find both the articles and the photographs helpful in your study and teaching. This entry was posted in Bible Places, Bible Study, Israel, New Testament, Photography, Travel and tagged Palestine. Bookmark the permalink.